Guitar Lessons: Rock on with Your 5-Chord Power Pack! Do you have any idea how much guitar power you have now?? The chords and skills you have learned up to this point will sail you through literally thousands of songs. Have some fun looking at other songs to learn to play that use some combination of G, C, D, Am, and Em. 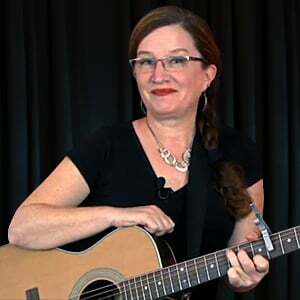 In the next tutorials, we will learn all the other open chords you should know to fill out your collection of basic major and minor open chords, along with several more songs to practice.